At the end of October this year we wished Candice Van Dongen safe travels as she and her husband departed for Australia to start a new chapter in their lives. We, staff and clients alike, will miss Candice but wish her every success for the future. I am sure by now, for most of us, the adjacent image looks familiar – Bitcoin has become the new craze worldwide and was probably the most asked about topic in 2017. The total market value of Bitcoin is approximately US$ 80 billion – this is more than the value of Richemont and 3 x the value of Anglo American! Bitcoin is a virtual currency and to try and predict where the price of Bitcoin is headed, is an impossible task as it has a zero intrinsic value. The value of any currency is largely a matter of faith – it is only valuable if someone will exchange it for some real-world goods or services. It is very difficult to value Bitcoin. There are no future cash flows associated with Bitcoin, except the price at which you will sell it for one day. Secondly, the first Bitcoin was traded in 2009 which is a short history when you compare it to oil which has a 150-year history and a 2000-year history for gold. Thirdly, the supply-demand factor for Bitcoin is determined predominantly by speculators which in themselves are hard to predict. The ultimate supply of Bitcoin is limited to 21 million coins [or is it?] whereas the supply of US Dollars is effectively unlimited. Therefore, Bitcoin should appreciate indefinitely against the dollar. While the supply of Bitcoin may be limited, the supply of virtual currency is not. 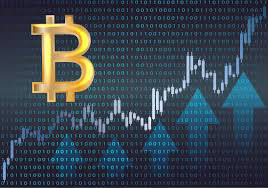 Many say that Bitcoin will eventually become the world’s reserve currency – you need a monetary base of several trillion dollars for a global reserve currency and as mentioned Bitcoin’s supply is limited to 21 million coins. Reserve currency is valued by the stability it brings which is clearly not what Bitcoin provides – a currency rapidly increasing in value means people will hoard it and a currency decreasing in value will cause people to spend it. Bitcoin is also not a friend of the environment – the total estimated amount of electricity consumed by processing bitcoin transactions is enough to power 1.6 million US households! Bitcoin uses more electricity than Lebanon or Cuba. Despite all the above, we are fully aware that there is money to be made if it is money you are prepared to lose. Trading in Bitcoin is much like gambling and in the unregulated space, such as Bitcoin, the material risk of capital loss is very high! World Government Bond Index by virtue of Moody’s rating who still have our local and foreign currency debt rating at one above non-investment grade [junk]. One further local currency debt downgrade from Moody’s [expected in March] will trigger a bigger sell-off in our bond market. S&P’s comments following the downgrade were centred around South Africa’s lack of growth. Policies have focussed too much on how to give money away and less on growing the economy. For S&P it is all about growth and fiscal consolidation. The ANC fail to grasp that politics is about economics. If you keep the economy growing, then the general population is happy and the party will remain in power however, if you bury your economy in the sand, it will eventually collapse. If economics and politics do go hand-in-hand, then the February budget is vital for the ANC. 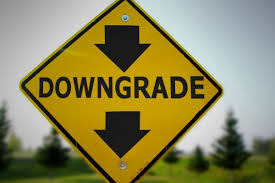 A downgrade by Moody’s [who have an itchy trigger finger] will cause a massive sell off in bonds and another waiver of consumer pessimism and job losses. There is a very real probability that the ANC will find themselves campaigning for 2019 amid a recession of their own making. It is important that we remain hopeful and positive about two key aspects of our economy – free markets and people’s positive response to incentives. Free markets are the most efficient allocators of resources and growers of an economy. The government must focus on incentivising growth and education rather than beating down employers [especially in the Private Sector!]. It is time to celebrate and grow success! Who will it be? 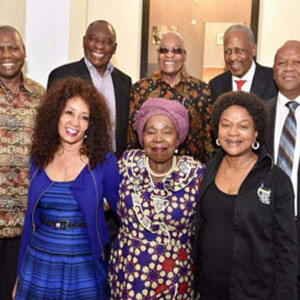 The above candidates are the 7 ANC presidential hopefuls with Lindiwe Sisulu, Zweli Mkhize and the unpictured, David Mabuza booking their places for the deputy presidential post on the ballot paper come 16 December 2017. Naledi Pandor, Ramaphosa’s preferred candidate for the deputy president post position is yet to be nominated. The 54th National Conference is set to take place in Gauteng from the 16th to the 20th of December 2017 – we believe the future of our country rides on the outcome of this conference and we will be following the news very carefully. 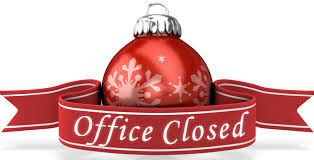 Please note that our offices will be closed for the Christmas break from 14h00pm on Friday the 22nd of December and will reopen on Wednesday the 3rd of January 2018 at 08h00am. We wish you and your family a happy and safe festive season. We look forward to working with you during another eventful and successful 2018! Stacey Barron – end November 2017.